Expand the sections below to learn about the venue and area surrounding the 2019 q-bio Summer School. The summer school will be held at Duncan Hall in Rice campus. 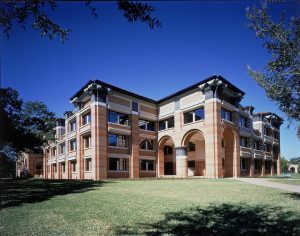 Duncan Hall serves as the home of Computational Engineering at Rice University. Computational Engineering includes departments such as Computer Science, Computational and Applied Mathematics, Electrical and Computer Engineering and Statistics. 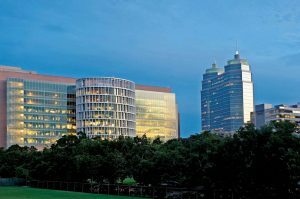 Rice University campus is less than 30 min drive from two major Houston area airports, Hobby (HOU, hub for Southwest) and Intercontinental (IAH, hub for United), which provide non-stop access to many major US airports and international hubs. Both Uber and Lyft operate in Houston and offer convenient and relatively inexpensive way to ride from/to the airport. The visitors also may opt to take Supershuttle (https://www.supershuttle.com/locations/houston-iah-hou/ ) or taxi (Yellow Cab: 713-236-1111, Fiesta Cab: 713-225-2666, and United Cab: 713-699-0000). For information on other public transportation options, please refer to transit directions on google maps (https://maps.google.com/landing/transit ). For those driving to the conference site, paid visitor parking is located in a parking garage beneath the BRC (entrance on Dryden St). All parking can be accessed by credit card. Use the same credit card to exit at the end of the day. All-day parking costs $12. Cheaper parking options are available on the other parking lots within walking distance. For additional information about campus parking, visit Parking for Visitors website. 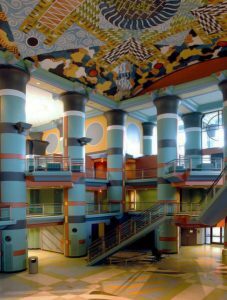 Lodging for attendees will be reserved in Rice Residential Colleges (dorms). Either single or double occupancy rooms are available. Private bathrooms are available in many of the double and suite style rooms. The fee for lodging and meals for the duration of the event is included in the $1500 Summer School registration fee (single occupancy). Students who receive financial aid will be assigned to double occupancy rooms. Looking for additional activities to participate in while visiting Houston? Click here to see what this city has to offer! Click here to learn more about Rice and the city of Houston! The Southwest campus summer school will be held at the University of New Mexico in Albuqerque, New Mexico. Founded in 1889 as New Mexico’s flagship institution, the University of New Mexico now occupies nearly 800 acres near old Route 66 in the heart of Albuquerque, a metropolitan area of more than 500,000 people. From the magnificent mesas to the west, past the banks of the historic Rio Grande to the Sandia Mountains to the east, Albuquerque is a blend of culture and cuisine, styles and stories, people, pursuits and panoramas. Albuquerque is also a major stop on Amtrak Railway lines from Chicago and Los Angeles. Our station welcomes the "Southwest Chief" once a day from each direction. For visitors traveling by bus, Albuquerque's Greyhound station is the area's hub, receiving 40 buses a day from all US major cities. Traveling by car, our visitors will find easy access to the City from two major Interstate Highways, Interstate 25 and Interstate 40 which intersect at the City's center. The University is bordered on the West by University Blvd, the North by Lomas Blvd, the South by Central Blvd, and the East by Girard Blvd. 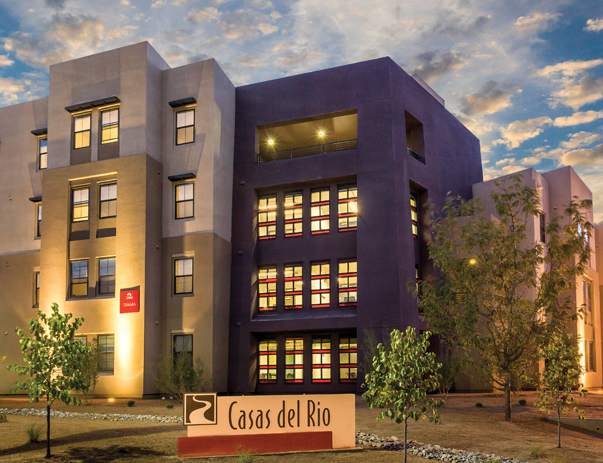 Lodging for attendees will be reserved in Casas del Rio (dorms) within 5-10 minute walking distance from the Student Union Building (SUB). All rooms are semi-private with a private bedrooms and shared bathrooms. Students who receive financial aid may be assigned to double occupancy rooms. Looking for additional activities to participate in while visiting Albuquerque? Click here to see what this city has to offer!